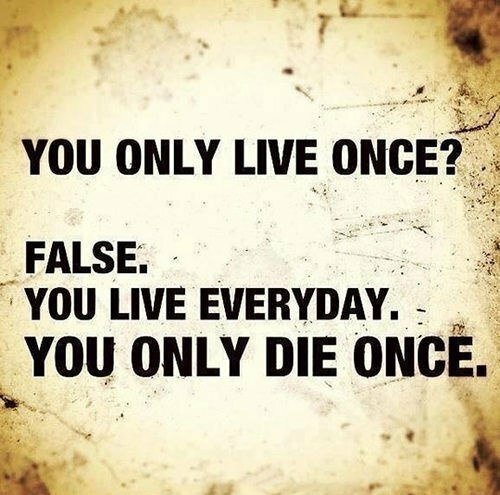 You only live once? False. You live everyday. You only die once.